In large bowl whisk together ginger beer and sugar till foam subsides and sugar is completely dissolved, about 3 minutes. Whisk in coconut milk, salt, and ginger. Transfer base to ice cream maker and churn according to manufacturer's instructions. 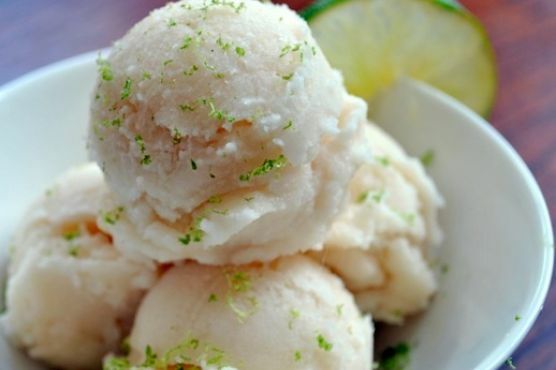 When sorbet is finished, slowly pour in rum and churn one minute longer. Transfer tO airtight container and freeze for two to three hours, or until firm and scoopable. For serving, garnish with lime zest and, if you like, an additional tablespoon of rum per bowl.